The Kasza [kaʃa] is a two band boost-only equalizer. The circuit consists out of two class-a J-FET stages combined with a passive tone-stack. It results in a warm, very musical sounding device. 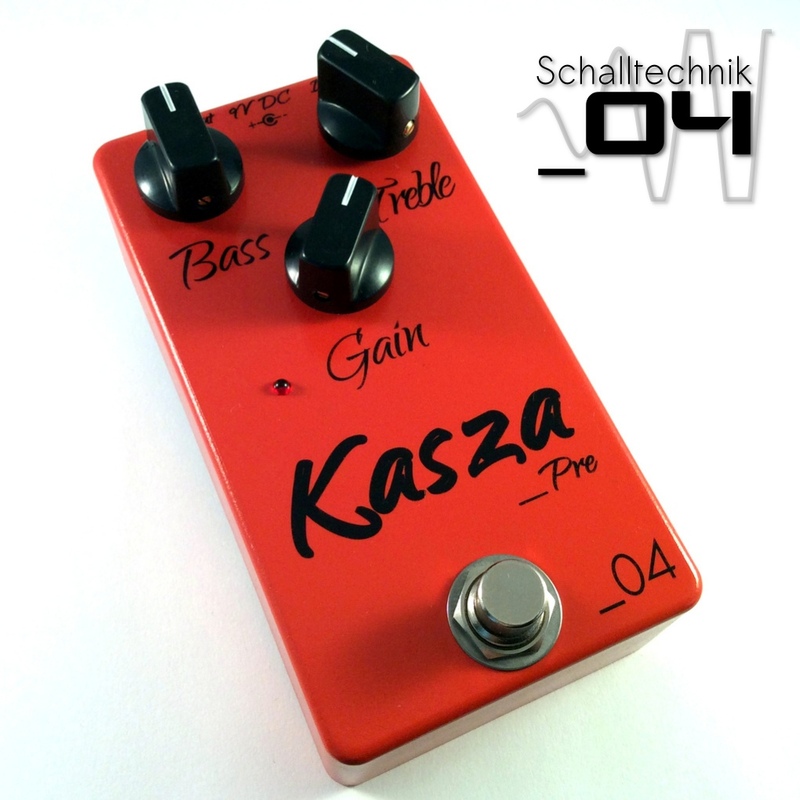 The Kasza features a relay based true bypass.